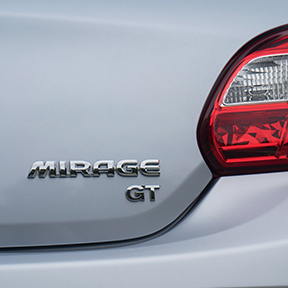 Mirage The compact car that lives large. 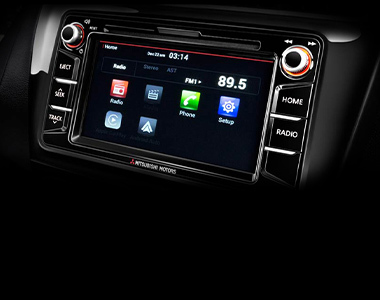 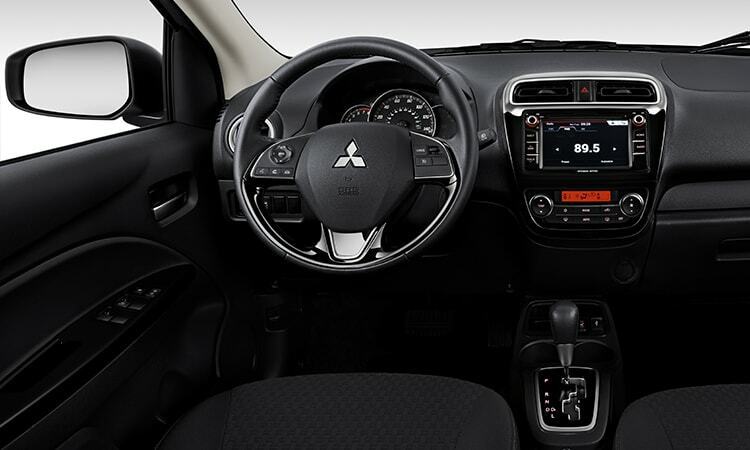 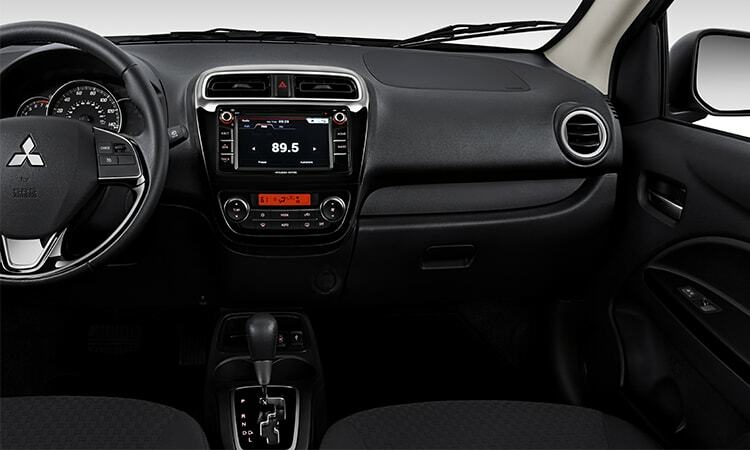 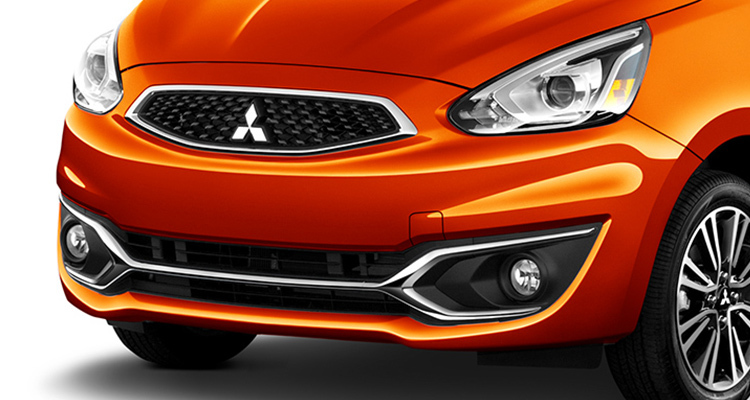 A touchscreen display featuring Bluetooth® phone and audio streaming capability is standard in every Mitsubishi Mirage. 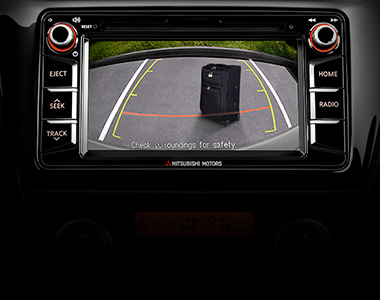 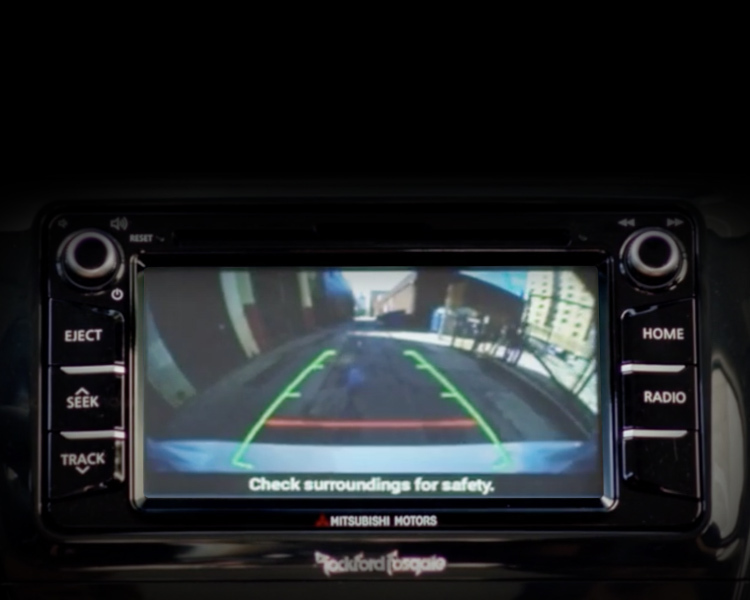 We've got you covered when you're backing up with a rearview camera that's standard on all Mirage trims. 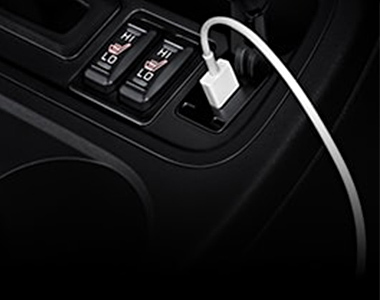 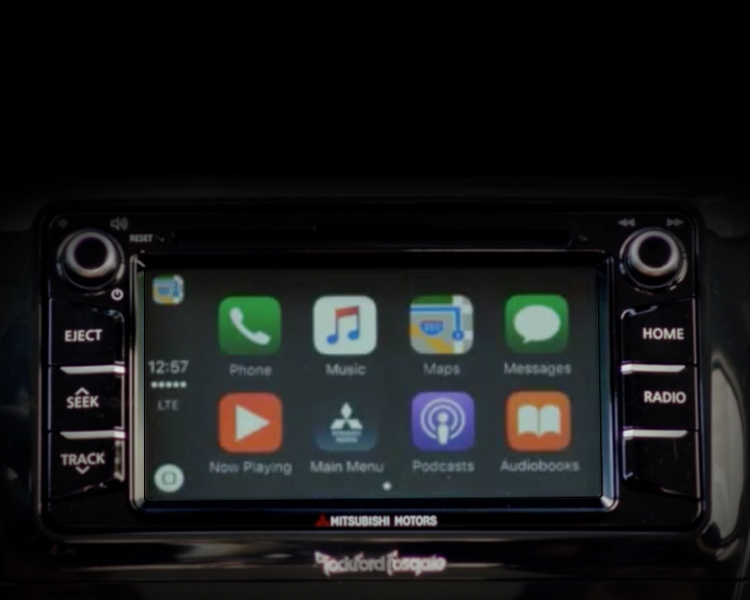 A USB port, conveniently located in the center console, makes it easy to charge and connect your devices while staying focused on the road. 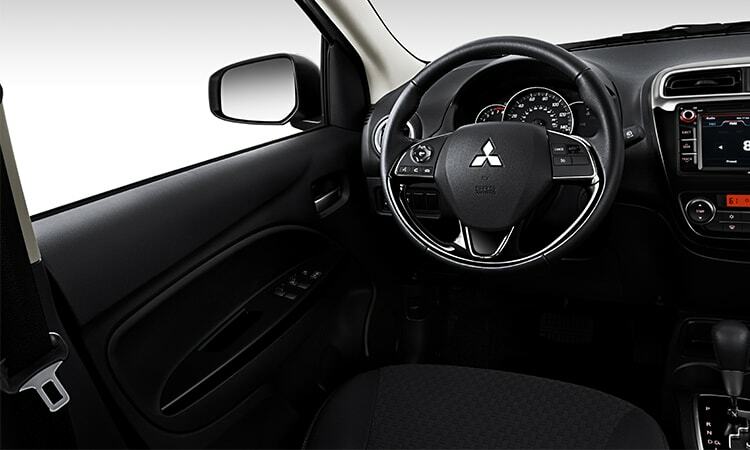 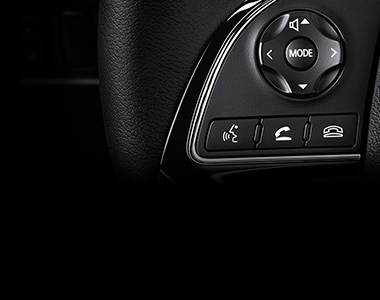 Steering wheel-mounted audio and Bluetooth® controls, plus cruise control functions now standard on every Mirage, let you keep your hands on the wheel and drive with confidence. 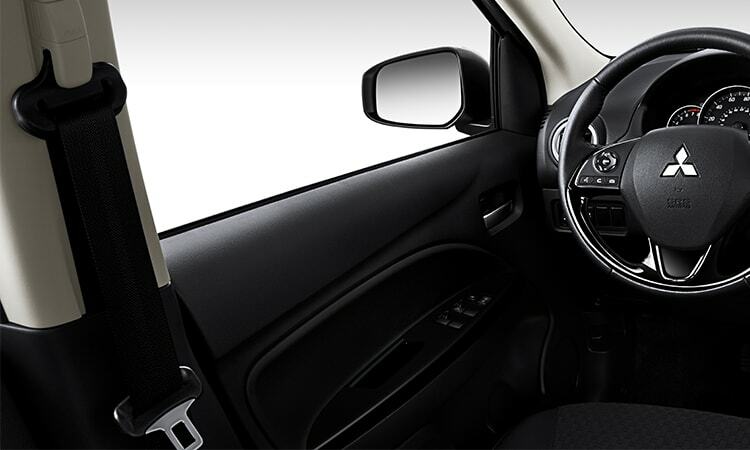 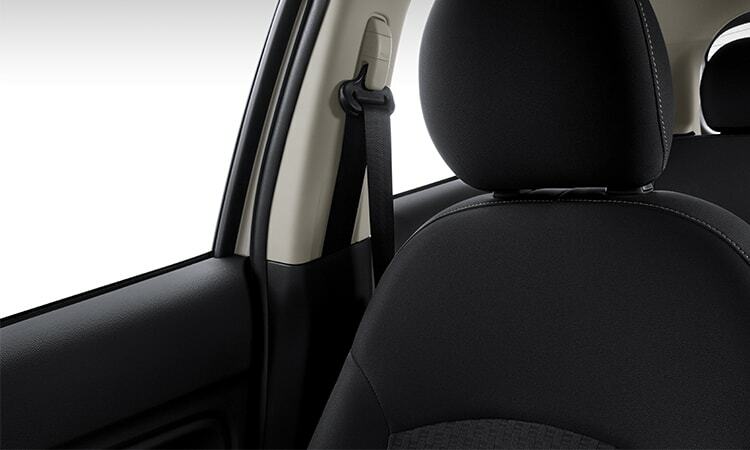 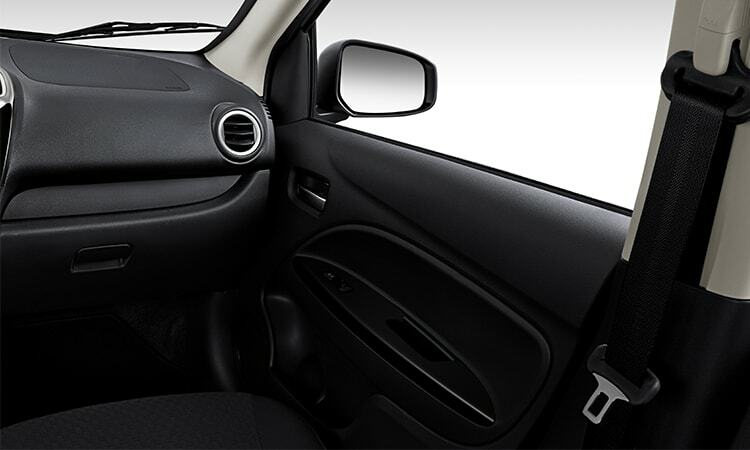 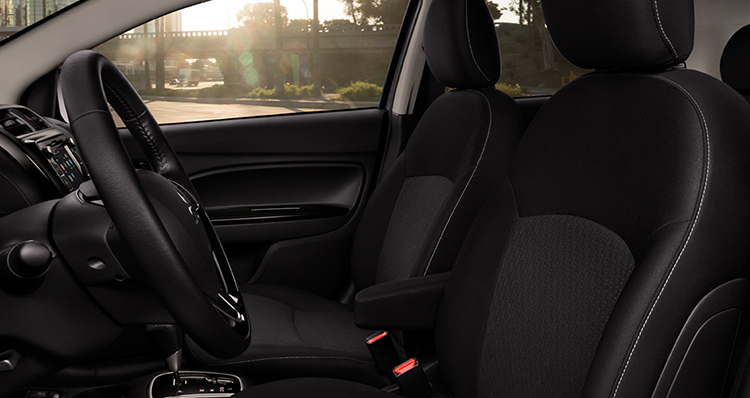 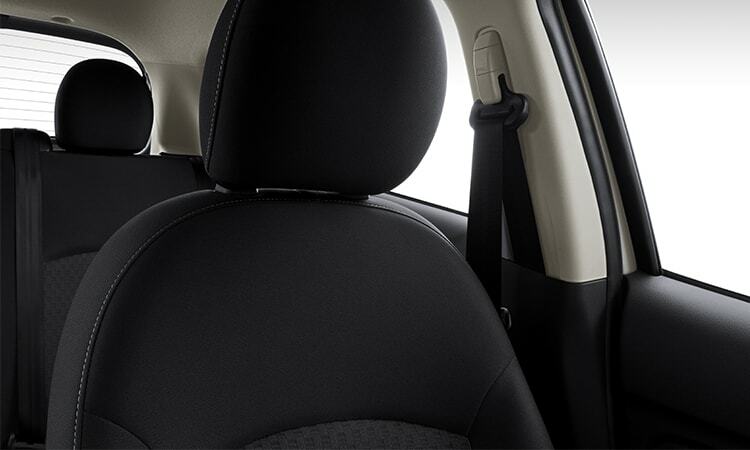 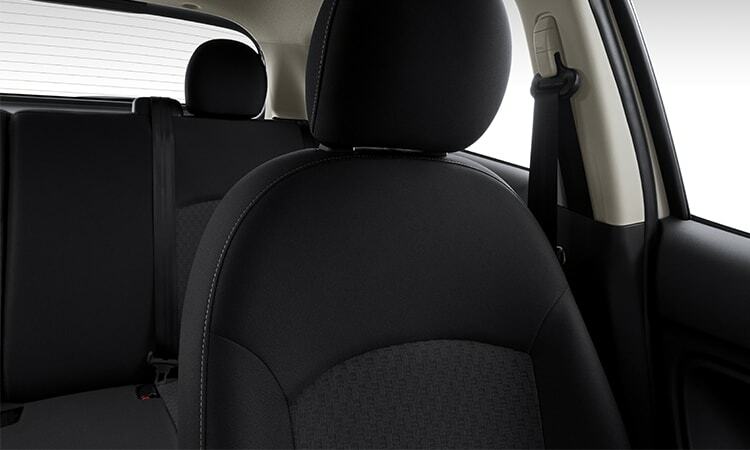 For your driving comfort, every Mirage is now equipped with a height adjustable driver's seat. 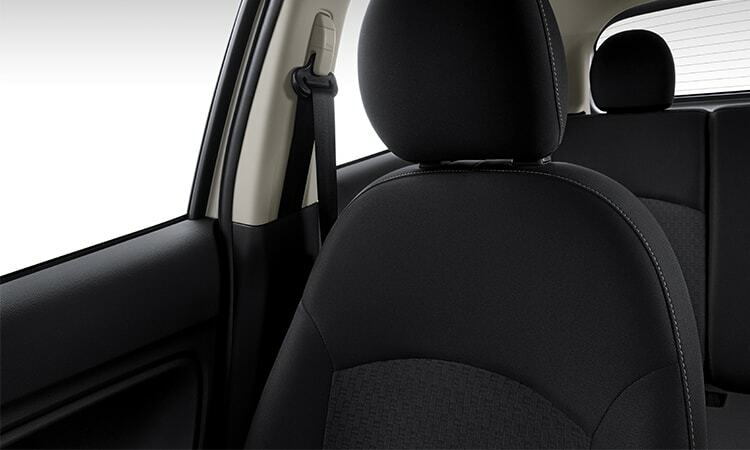 And in LE, SE and GT models, a driver's side armrest lets you rest easy. 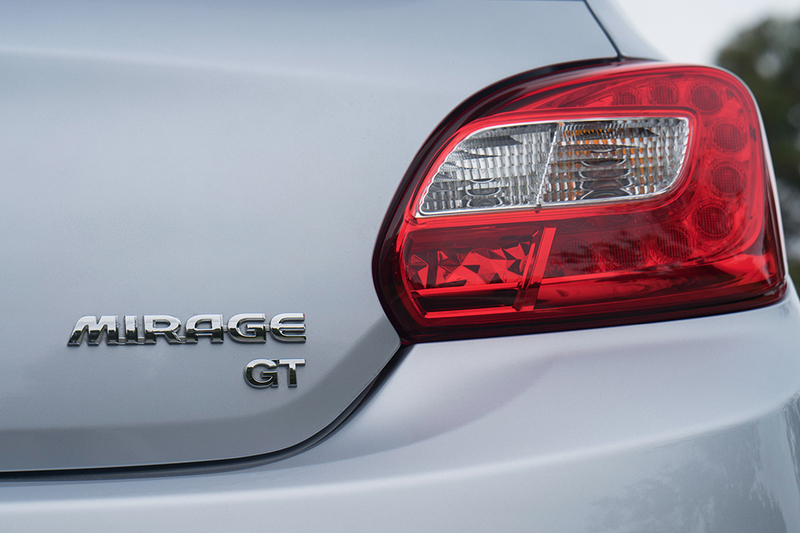 "The MPG is awesome... 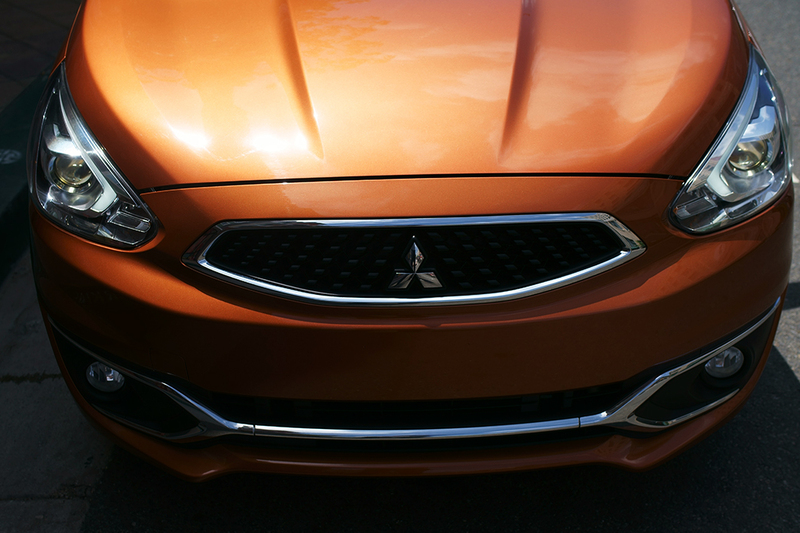 I've hit 50+ on a few highway occasions." 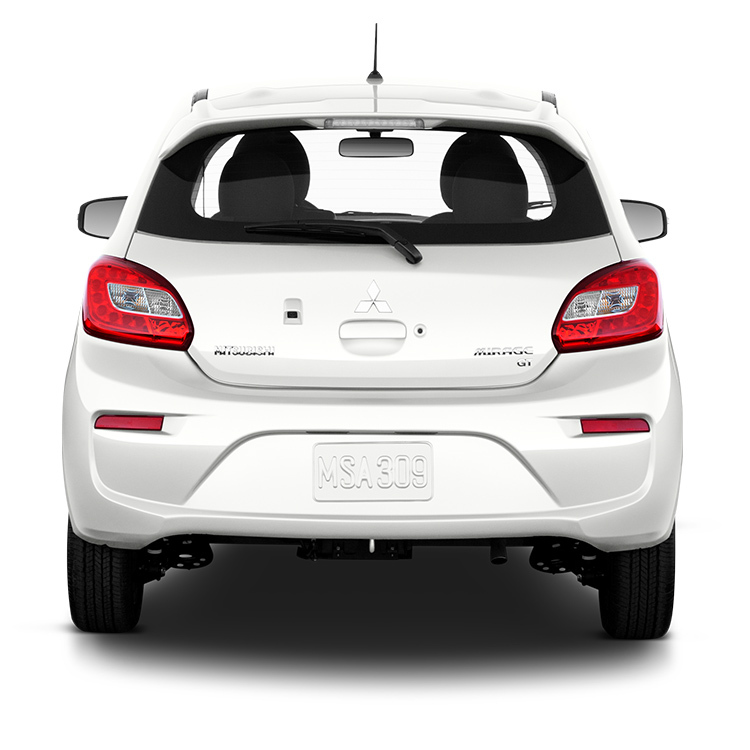 "I'm 6'3", 225 lbs and when we went for the test drive I thought there was no way I'd fit comfortably in any seat. 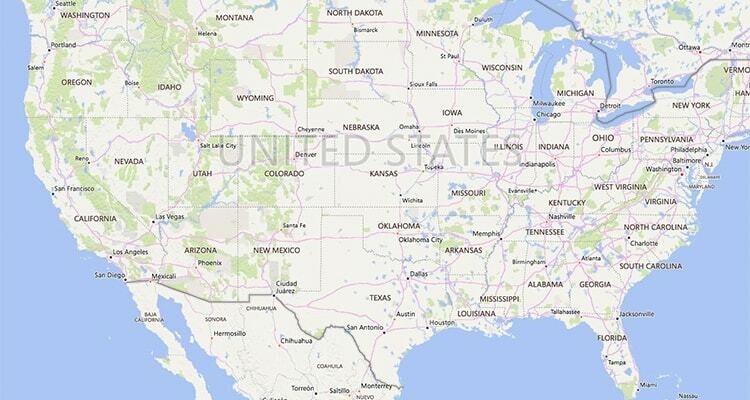 Well I was wrong. 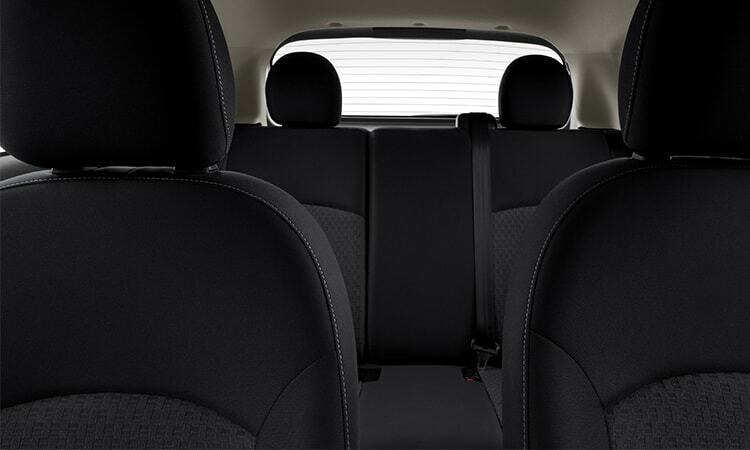 Driver's seat, passenger seat and rear seats were no problem." 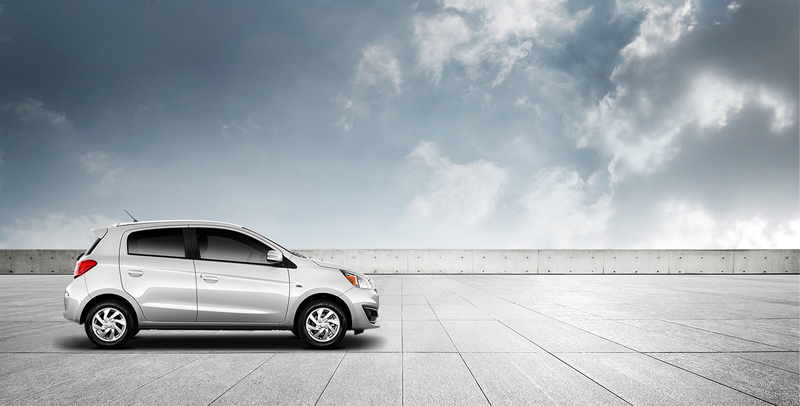 "Well worth every penny... which wasn't much at all for a new car! 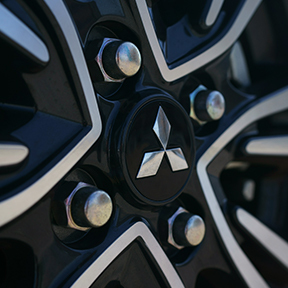 Very happy campers!" 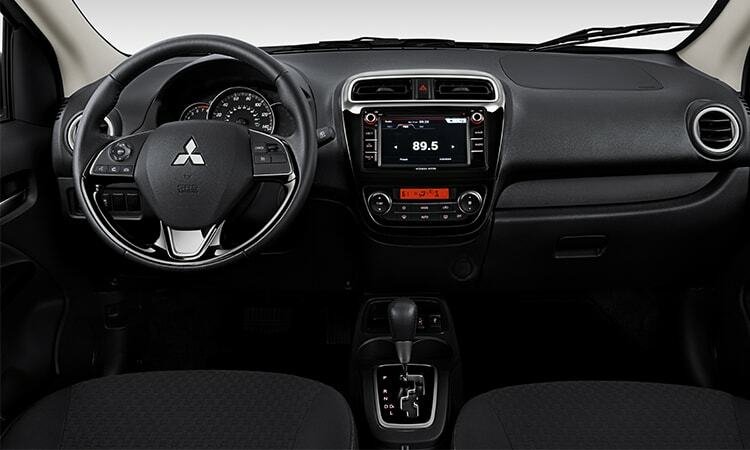 "When it comes to value and cost of ownership, it's very tough to beat the Mirage"
From a touchscreen display audio system to Bluetooth®, keyless entry, and a rearview camera, the Mitsubishi Mirage packs a punch with standard modern tech—at an incredibly affordable price. 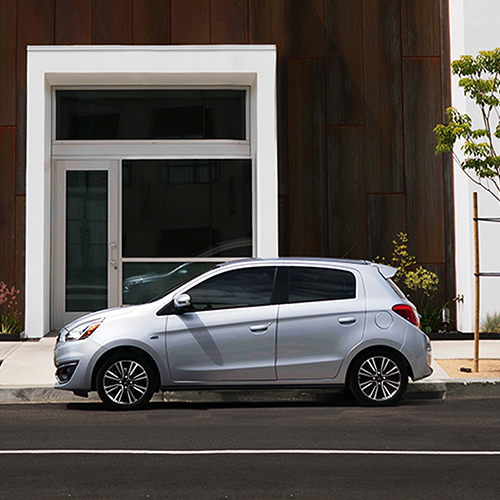 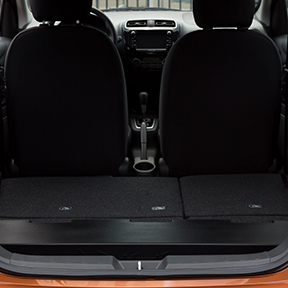 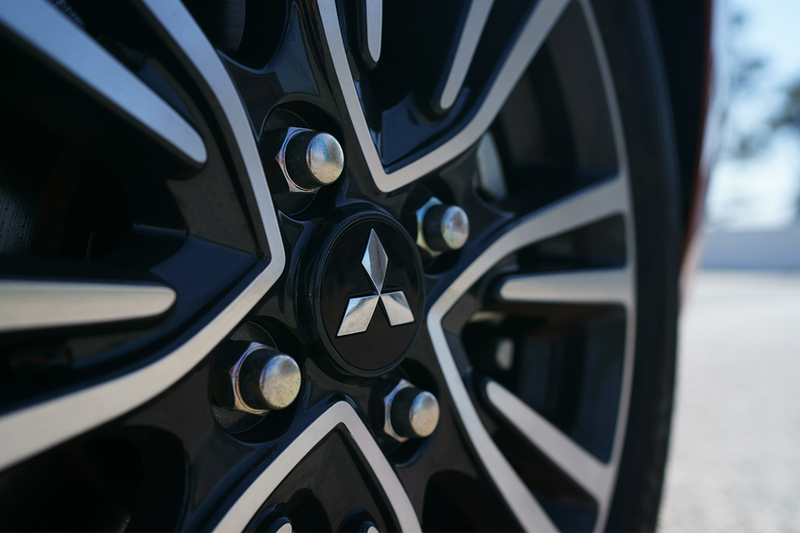 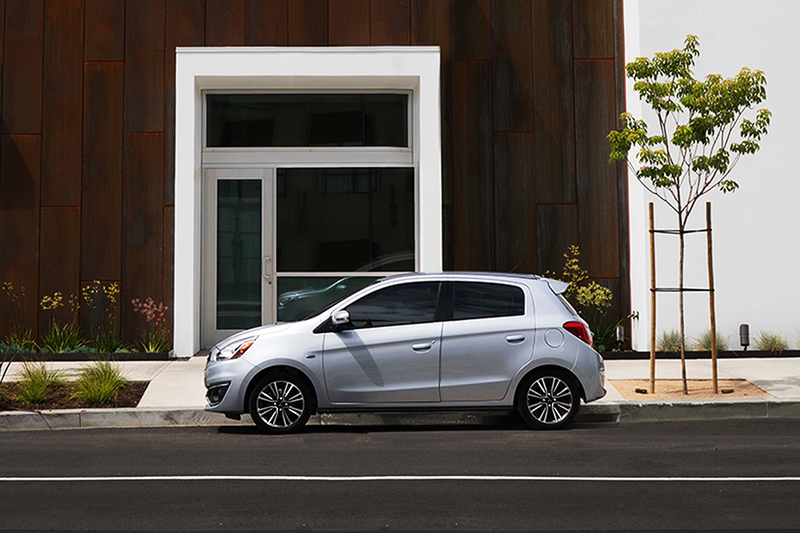 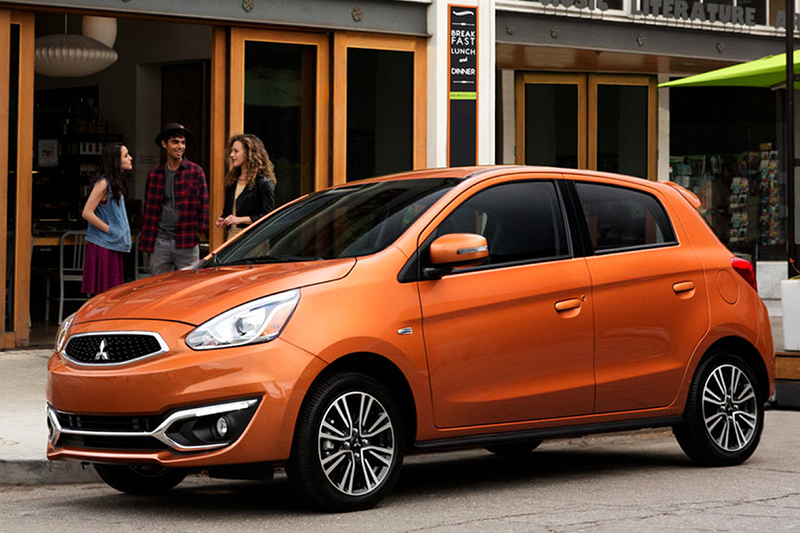 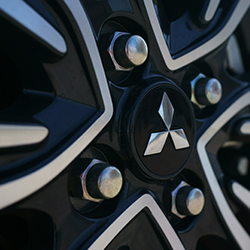 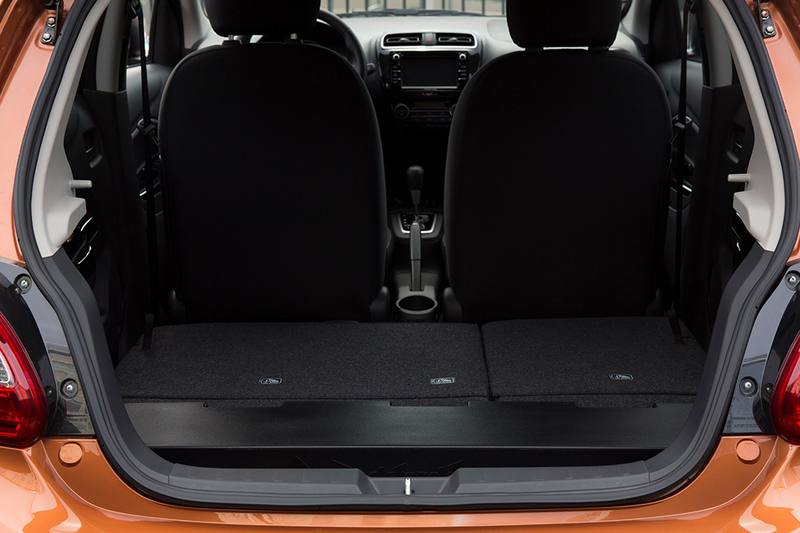 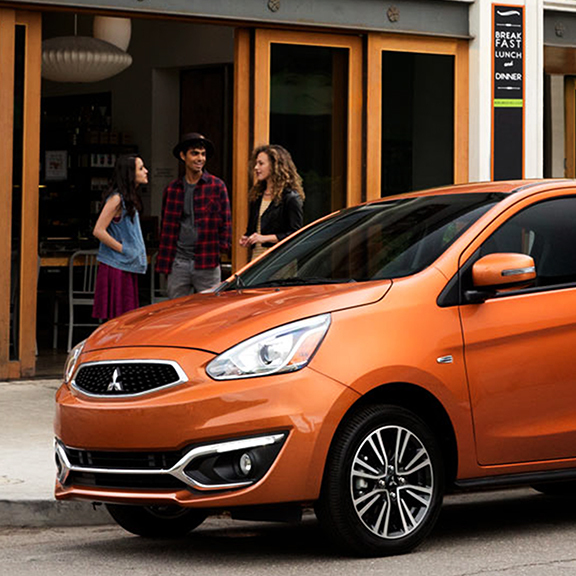 With a city-smart size, a best-in-class turning radius, and all the cargo capacity you need, the Mitsubishi Mirage is just the right amount of car for adventures, errands and everything in between. 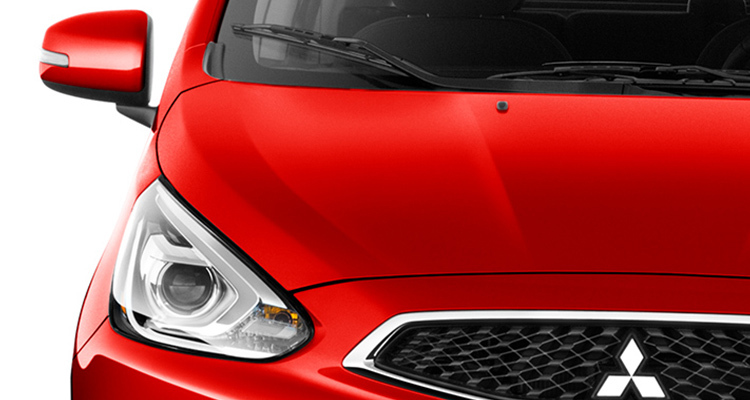 Bonus: It comes with a budget-friendly price tag. 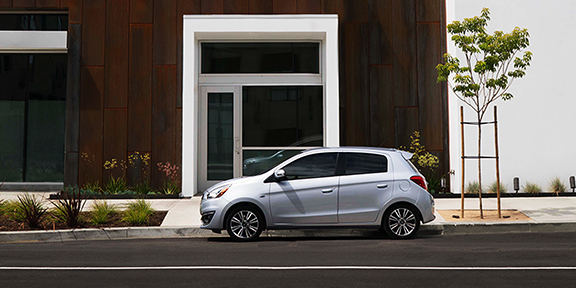 FUEL EFFICIENCY Take Fun a Little (or a lot) Further. 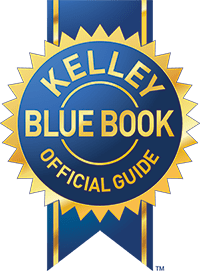 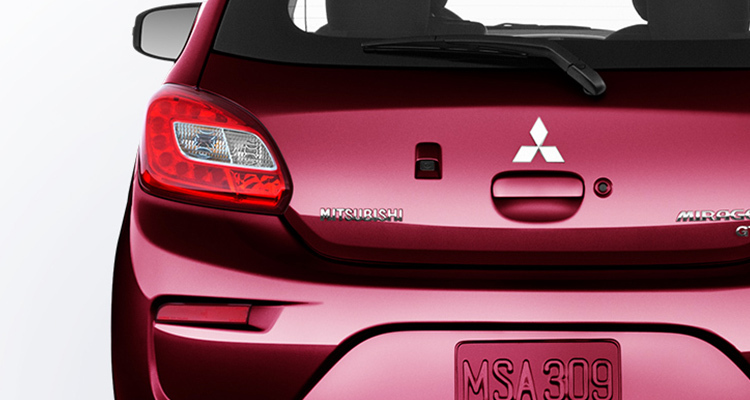 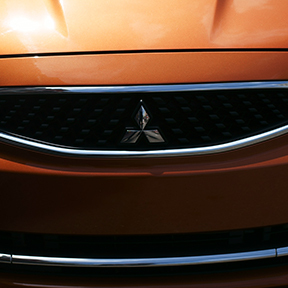 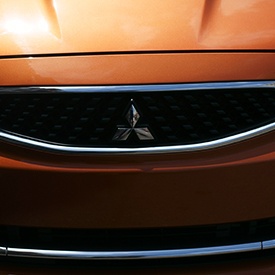 The Mitsubishi Mirage is the most fuel-efficient non-hybrid car in America. 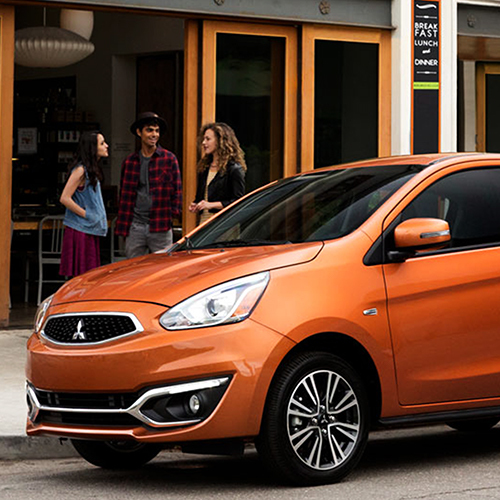 It sips fuel and delivers exceptional gas mileage, so you can spend less time filling-up and more time enjoying the things you love. 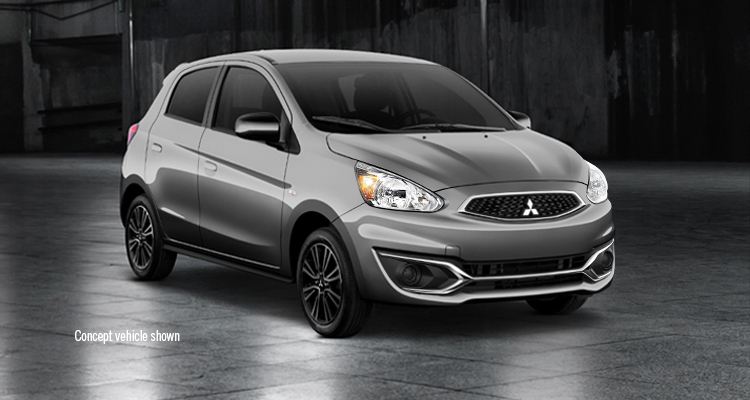 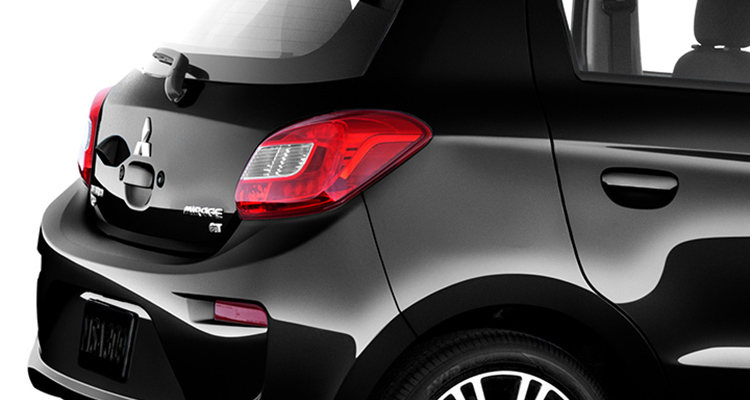 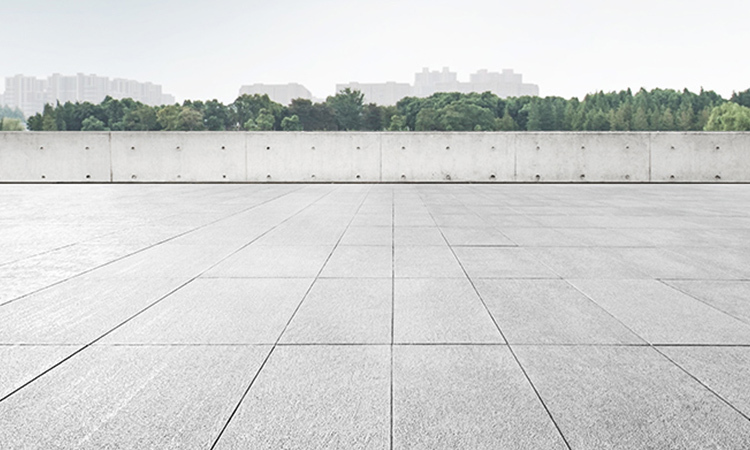 Be one of the few to own the Mirage Limited Edition, and set yourself apart. 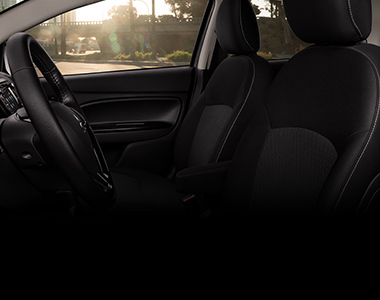 With 15" black alloy wheels, red interior stiching, heated front seats, Apple CarPlay® or Android Auto™ and more, you'll get stand-out features at a stand-out price. 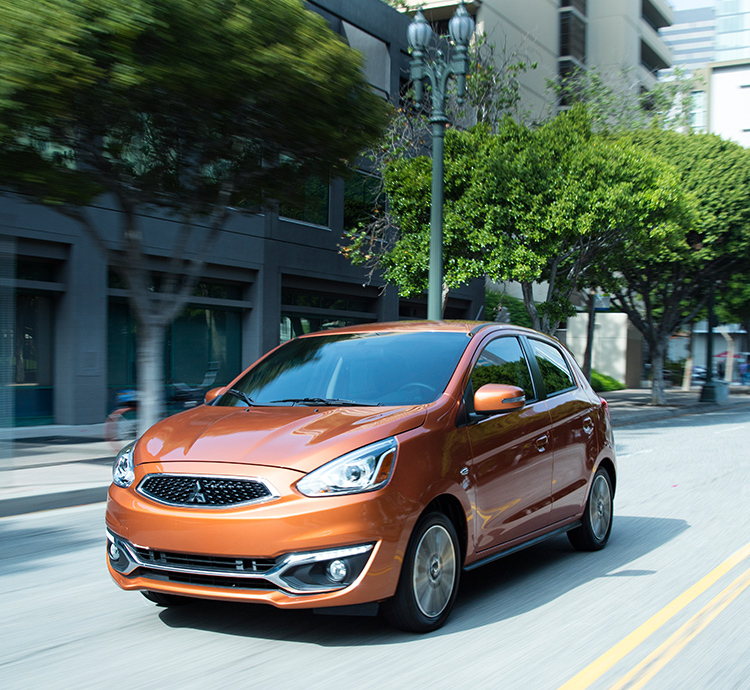 Which Mirage is Right for You? 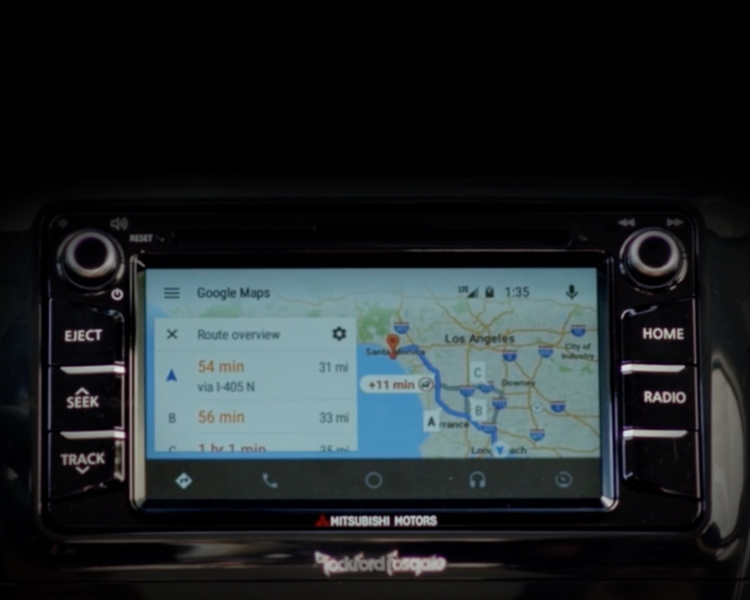 5 Android Auto™, Google Play and other marks are trademarks of Google Inc.
6 Calculations are based on an average of 15,000 miles driven per year, an average cost of $3.00 per gallon of fuel, national average prices for the commodities listed and the average estimated MPG for category competitors. 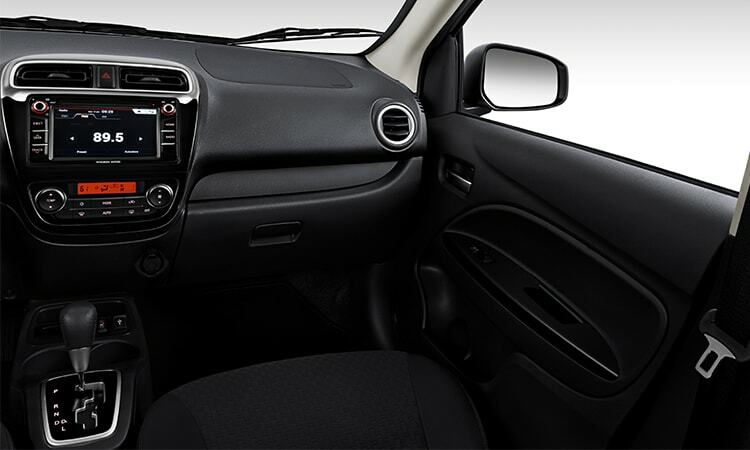 All calculations are approximate and for illustration purposes only.